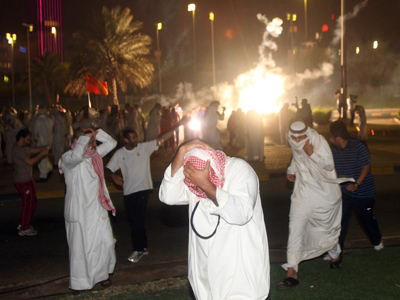 Kuwaiti police used stun grenades, smoke bombs and teargas to disperse thousands of demonstrators calling for greater democracy in the country. The rally came as the emir was meeting with the representatives of the opposition. Earlier the authorities announced they would not give permission for the demonstration and vowed to use force if needed to prevent the rally. 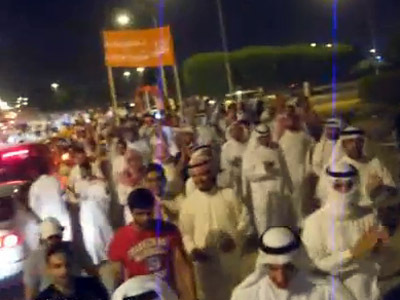 On Sunday special forces and police blocked the roads to the original protest site in Kuwait City. But the organizers called on everyone to gather outside of the capital at Mishref. Security forces were quick to seal off that area too. However, by the time they blocked the roads thousands of protesters had already gathered at the site. Organizers claim some 100,000 people took part in the third major protests in the last few weeks. But authorities set the figure lower. Dozens of protesters were arrested by police, according to activists. No injuries or deaths have been reported. Although the demonstration lasted less than an hour before it was dispersed by police, the organizers say they have achieved their goal. "After we have expressed our message of rejecting any play in the constitution, we announce the end of the procession," they tweeted. The opposition took to the streets to protest against an amendment to an electoral law ordered by Emir Sheikh Sabah al-Ahmad Al-Sabah last month ahead of early parliamentary election set for December 1. The decree makes it harder for the opposition to form coalitions and reduces the number of votes cast by each citizen from four to one. 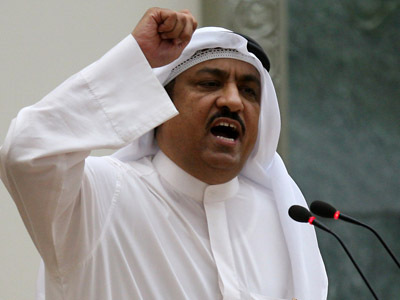 Main opposition blocs in Kuwait have already announced they are going to boycott the upcoming elections. The amendment triggered a wave of mass protests in Kuwait with security forces determined to use all means to suppress the crowds. 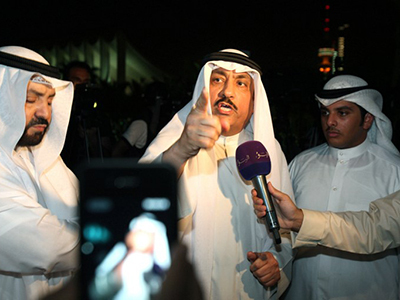 On Sunday the emir met with four prominent opposition figures for talks. It was the first official meeting between the emir and the opposition since the stalemate began. The emir said he would accept the Constitutional Court's ruling on the disputed amendment, former MP Mohammad Hayef, who took part in talks, tweeted, AFP reports.